When a person has excessive sweating, in addition to all its existing problems, added another, and the trouble with things, which you can see the traces from sweat. They are pretty hard and as it seems at first glance, almost impossible to wash. In addition, all those nasty yellow circles, especially white, can give your favourite item in disrepair, as stains from perspiration violate the overall structure of the fabric. First of all, before removal of stains from sweat check the type of fabric from which to sew your favourite item, since the use of a means for removing sweat marks can disrupt the fiber structure. Remember, each material has its own individual methods and ways of removing these stains. Start with a simple method, suitable for all kinds of fabrics. Take clothing and apply directly to the stain any liquid detergent for removing protein-based stains, drench the whole area of the stain. Leave the thing in one hour.Sasteria, an hour later, spots and dry clothes at room temperature. 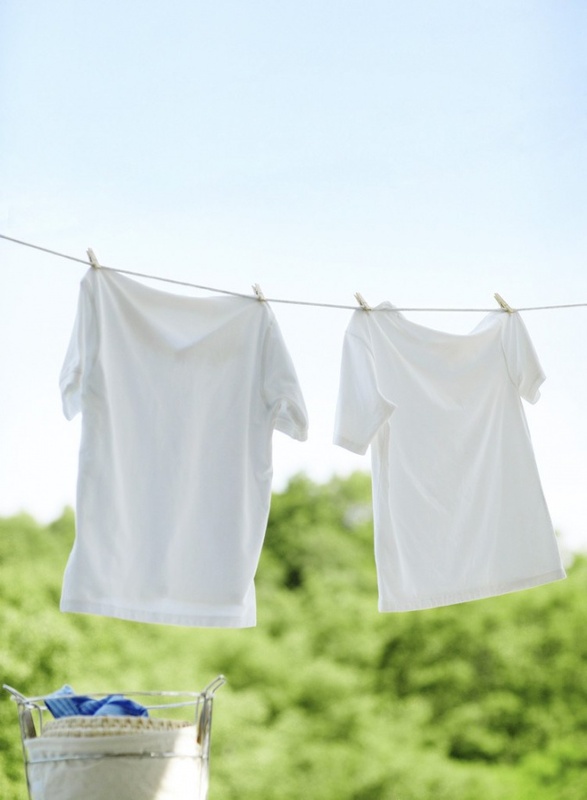 Removal of traces of sweat on a cotton and linen fabrics. Take 1 teaspoon of salt and 1 teaspoon of ammonia, mix the indicated ingredients in a glass of warm water. Apply the resulting solution on the stains and leave it soaked for 10-15 minutes. Rinse the thing in warm water several times. Removal of traces of sweat on silk fabric. Stir in a glass of warm water one teaspoon of salt and the resulting solution apply to places where there are traces from sweat. Gently RUB these areas. Rinse clothing with warm water. If the silk is white, can be applied to stains from sweat solution of hydrogen peroxide with water in a ratio of one to ten and RUB the solution indicated. Removal of traces of sweat on the wool fabric. Make a soapy solution. To do this, take a piece of soap, fill it with boiling water and lather. Soak in the resulting solution of wool thing for 10-15 minutes. Wash hands places with spots. Rinse the clothing in a large quantity of warm water. Attention! In any case, to eliminate the stains do not use chlorine.